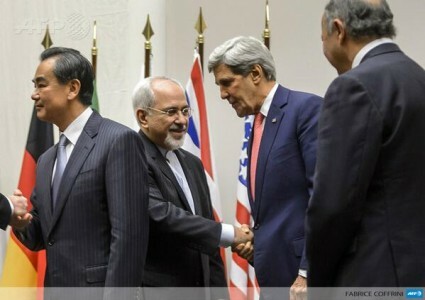 On January 12, 2014, the P5+1 (the United States, United Kingdom, Germany, France, Russia, and China, coordinated by EU High Representative Catherine Ashton) and Iran arrived at technical understandings for the Joint Plan of Action, which will be implemented beginning on January 20, 2014. Not enriching uranium in roughly half of installed centrifuges at Natanz and three-quarters of installed centrifuges at Fordow, including all next generation centrifuges. Limiting its centrifuge production to those needed to replace damaged machines, so Iran cannot use the six-month period to stockpile centrifuges. Not constructing additional enrichment facilities. Not going beyond its current enrichment R&D practices. Completion of dilution of half of its stockpile of near-20% uranium hexafluoride in three months, and completion of conversion of the rest of that material to oxide in six months. A cap on the permitted size of Iran’s up to 5% enriched uranium stockpile at the end of the six-month period. Information to enable managed access at centrifuge assembly workshops, centrifuge rotor production workshops and storage facilities, and uranium mines and mills. The P5+1 and EU have also committed to take certain actions to facilitate Iran’s access to $4.2 billion in restricted Iranian funds on a set schedule at regular intervals throughout the six months. Access to a small portion of these funds will be linked to Iran’s progress in completing the dilution process for near-20% enriched uranium. Iran will not have access to the final installment of the $4.2 billion until the last day of the six-month period.